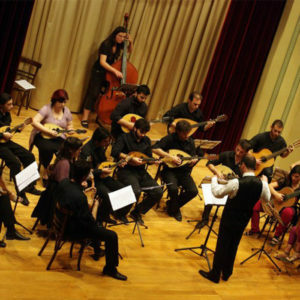 The sound of the mandolin as it traveled through the baroque lounges of Europe, flew over the Neapolitan vineyards, into Italian tarantes, left its mark on the Ionian Islands, Crete and the other hospitable corners of the Mediterranean, is now presented from the Athenian Mandolinata orchestra “Nikolas Lavdas”. Rokka and Kera villages are located in the northwest of the Prefecture of Chania, in the Municipality of Kissamos, 12 km from Kissamos, 39 km from Chania and 55 km from Chania airport. Following the E65 National Road from Chania to Kissamos, and turning to the Nopigia to Kera – Rokka hub, you will not have difficulty finding us. Rokka’s Square is located in the center of the village, right next to the main street from which you will come.